Just to the north of Santa Monica lies Pacific Palisades. Long one of Los Angeles's most prestigious neighborhoods and the home of at least one U.S. President, the kind of urgent care Pacific Palisades residents sometimes require is, nevertheless, not always easy to obtain. That's why so many locals have been delighted to learn of the services of Dr. Michael Farzam of House Call Doctor Los Angeles. While the very idea of house call doctors might seem like a relic of another century to many of us, it's an idea whose time has definitely come. People seeking out the kind of urgent care Pacific Palisades residents often need have found that there are few better options than Dr. Farzam's services. 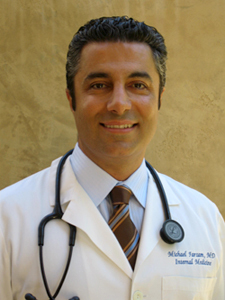 Providing outstanding and highly personalized 24 hour urgent care to individuals throughout Greater Los Angeles, Dr. Farzam has won the praise of countless patients who appreciate his medical skill and friendly bedside manner. Obtaining quality urgent care in Pacific Palisades and elsewhere in Southern California can be baffling, and the assistance of a top flight medical concierge can be a tremendous help, but it's good to know that there are viable alternatives to large and impersonal medical clinics. It's also good to know that the services of House Call Doctor Los Angeles are far more reasonably priced than you might ordinarily assume. Indeed, for many patients, a visit from Dr. Farzam will be substantially less expensive than a visit to an emergency room. For more information on outstanding urgent care in Pacific Palisades and all of Greater L.A., call 310-849-7991 today or visit the House Call Doctor Los Angeles contact page.